We arrived in Kenya in 1974, with our three sons ages 5, 7, and 9. 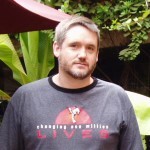 Our oldest son, Russ with his wife and three children have been missionaries in Uganda, a neighboring East African country for more than 17 years. God has greatly blessed their labors. Russ became interested in a ministry in Uganda when he traveled there with his Dad during his last year in Kenya before he entered Baptist Bible College. 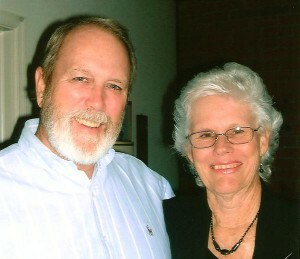 While in Bible College, Russ met and married Sylvia. Our second son, Tim, his wife Mona, and four children spent five years in Saudi Arabia and returned to Kansas City in November, 2001 to open the Raytown ATA Black Belt Academy. Our youngest, Stephen, together with his wife Laura and their three children are currently ministering at Kansas City Baptist Temple. Stephen is a graduate of KCBT’s four-year Bible College program–Shepherd School of Ministry. His dissertation, THE SONG OF THE KING, is an inspiring presentation of the place of music in worship and praise of God.